Many people joke about gas pain and its usual results, but when gas pain becomes severe it is nothing to laugh about. Sometimes, gas pain can be severe enough to mistake for a heart ailment or back problem. Gas pain can result from a number of different sources, including food allergies, high fiber foods, swallowing too much air, stress or conditions such as irritable bowel syndrome or colitis. Treatment for persistent gas pain can include pain medications, strong antacids, and even surgery. Home remedies are available for gas pain, even when it is more severe. Consult your doctor if you experience recurring gas pain that interferes with your daily life. To try to eliminate severe gas pain right away, lie on your back and pull your knees up to your chest. This move will often expel the gas and offer you some relief. Keep trying if it doesn't work right away. Drinking a soothing tea will sometimes help take gas pain away. Teas such as peppermint, chamomile, ginger and fennel can soothe your digestive tract and ease your discomfort. Peppermint contains menthol, which can have an antispasmodic effect on the digestive tract, says Instah.com. Taking in fluid is one way to ease gas pain, suggests the University of Michigan Health System. 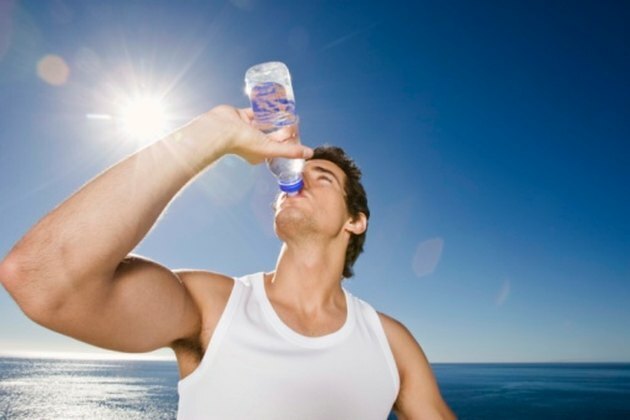 Stick to water and avoid using alcohol or carbonated drinks if you are experiencing gas pain. If you are experiencing anxiety as a result of your gas pain, you may end up swallowing air, which can make it worse. Anxiety also prevents you from breathing in such a way that will control your pain. Practice the 7/11 breathing technique when strong gas pains strike. Breathe in for a count of seven through your nose, then out for a count of 11 through your mouth. Continue breathing this way until you are calm or your pain dissipates. The best way to deal with severe gas pain is to prevent it from happening in the first place. Avoid any known triggers you have such as dairy or fried foods, and refrain from drinking and smoking. Talk to your doctor about trying an elimination diet to pinpoint problem foods if you aren't sure what causes your gas pain.